The U.S. Department of Agriculture released the January and February citrus crop forecasts on Feb. 8. January’s forecast had been delayed due to the government shutdown. 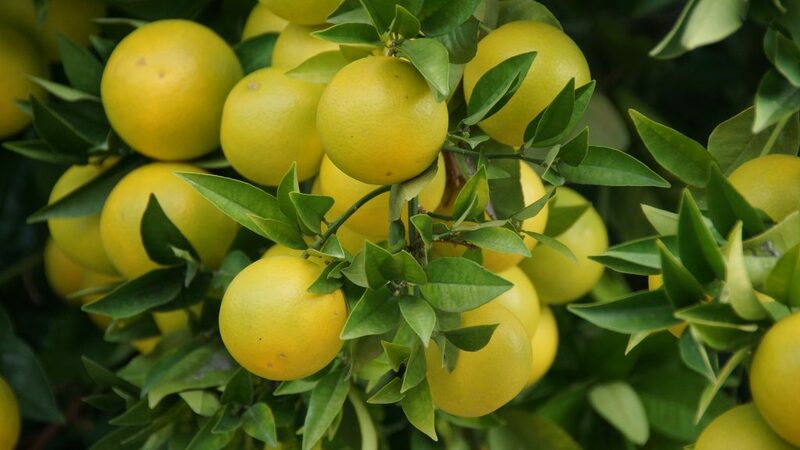 January’s forecast showed a decrease in Florida grapefruit, tangelo and tangerine production compared to December. Grapefruit fell from 6.4 million boxes to 6.2 million boxes. Tangerines and tangelos dropped from 1.2 million boxes to 1 million boxes. Orange production in Florida remained unchanged at 77 million boxes. In the February forecast, the all-orange forecast for Florida continued to hold steady at 77 million boxes. If realized, this forecast will be 71 percent more than last season’s final production. The forecast consists of 32 million boxes of non-Valencia oranges (including Navel varieties) and 45 million boxes of Valencia oranges. Final non-Valencia fruit size is below the minimum, requiring 335 pieces to fill a 90-pound box. Final droppage at 26 percent is above average. The Navel forecast, included in the non-Valencia forecast, is unchanged at 800,000 boxes, and is 3 percent of the non-Valencia total. Current Valencia fruit size is below the minimum and is projected to be below the minimum at harvest. The February forecast for Florida grapefruit dipped from 6.2 million boxes to 6 million boxes. The white grapefruit forecast is unchanged at 1 million boxes, while the red grapefruit forecast was lowered to 5 million boxes. The February forecast for tangerines and tangelos remains at 1 million boxes, 33 percent more than last season’s hurricane-affected utilization of 750,000 boxes.